This PDF 1.6 document has been generated by Adobe Acrobat 8.2 Combine Files / Adobe Acrobat 8.2, and has been sent on pdf-archive.com on 01/04/2011 at 22:20, from IP address 75.224.x.x. The current document download page has been viewed 2594 times. File size: 1.6 MB (50 pages). and cost accountability across the Department of Defense. 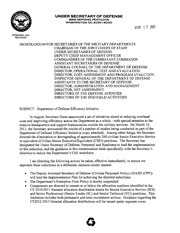 billion across the Future Years Defense Program (FYDP). general and tlag officer positions. executive positions and 33 Highly Qualified Experts (HQE). Intelligence Review efficiencies that save over $300 million across the FYDP. as decisions for the remaining Track Four Efficiency initiatives. policy guidance for the Department on implementation of these affected personnel actions. Congressional Investigation office and achieve a 10% overall reduction in ASD(LA) personnel. personnel of two (2) contractor positions and estimated FY12 savings of$165,000. not available, then no more than three (3) Defense Media Activity billets will support this effort. recommendation will result in an estimated FY12 savings of$12,000. I. Eliminate the DA&amp;M front office Military Assistant (0-5) billet. has no savings in personnel or budget resources. three (3) consultant/IPA FTEs, for an estimated FYI2 savings of $973,000. with the remaining 25% being eliminated in later years. but an estimated FYI2 savings of$15,000. positions and an estimated FYI2 savings of $400,000. an estimated FYI2 savings of$I,528,000. position and an estimated FY12 savings of $200,000. and estimated FY12 savings of$180,000. and estimated FY12 savings of $90,000. Executive billet and one (1) contractor position, and has estimated FY12 savings of$320,000. personnel of five (5) contractor positions and an estimated FY12 savings of $1,250,000. Acquisition Challenge Program; and two (2) contractors from the Joint Rapid Acquisition Cell. positions and an estimated FYI2 savings of $1,200,000. Evaluation's organization, in conjunction with (DOT&amp;E). contractors and an estimated FYI2 savings of$I,300,000. savings in personnel of two (2) contractors and an estimated FY12 savings of $500,000. personnel of one (l) contractor position and an estimated FY12 savings of $200,000. Department. There are no estimated savings in personnel or budget resources. (31) contractor positions and estimated FY12 savings of $2,500,000. an estimated FY12 savings of $13,200,000. personnel of forty-two (42) contractor positions and an estimated FY12 savings of $8,400,000. resources to OUSD(AT&amp;L) and the Defense Logistics Agency. personnel and an estimated FYDP savings of$58,300,000. productivity, quality, and create efficiencies. There is an estimated FY12 savings $295,000. savings in personnel and an estimated FY12 savings of $4,400,000. no estimated savings in personnel and an estimated FY12 savings of$I,700,000. personnel and an estimated FY12 savings of $600,000. cycle. A manpower study is warranted for such growth in this critical support area. 1. Perform an organizational restructuring to eliminate layers and overlap of activities. consumer information outreach, it does not believe that this program is mission essential. and an estimated FY12 savings of $94,000. needs of the services. There are no recommended savings in personnel or budget resources. enterprise support staff. This recommendation has an estimated savings in personnel of twentythree (23) civilian billets and an estimated FY12 savings of $2,031 ,000.
and an estimated FY12 savings of $5,200,000. savings in personnel and an estimated FY12 savings of $3,900,000. contractor positions and an estimated FY12 savings of $600,000. and estimated FY12 savings of$10,000,000. recommendation has no estimated personnel and an estimated FY12 savings of$3,100,000. excess property that goes to Federal and State agencies thus eliminating duplicate missions. 2. Eliminate, downsize, or transfer the Defense Microelectronics Activity. 3. Eliminate, downsize, or transfer OSD Defense Standardization Program. 4. Eliminate, downsize, or transfer OSD Business Reengineering Center. Military Service Engineering Support Focal Point and DoD Technical Data repository functions. 1. Eliminate ten (10) attorney civilian billets and one (1) consultant contractor attorney position. estimated FY12 savings of $2,850,000. savings in personnel of two (2) CSE billets and an estimated FY12 savings of $400,000. (FOS) last conducted in 2008.
military billets and an estimated FY12 savings of $2,500,000. three (3) military billets, ten (10) civilian billets and estimated FY12 savings of$5,508,000. three (3) civilian billets and an estimated FY12 savings of$399,000. personnel and estimated FY12 savings of$510,000. FY11 and 500 more in FY12. This will achieve $112.5 million in both FY 2011 and FY 2012.
estimated FY12 savings of $225,000,000. PFPA to the Army Criminal Investigation Command to consolidate security responsibilities. billets and estimated FYl2 savings of $2,700,000. two (2) civilian billets and estimated FY12 savings of $300,000. 16 civilian billets and estimated FY12 savings of $1,600,000. savings in personnel and an estimated FY12 savings of $4,000,000. year. The HNS organization inherited by DMA is a highly centralized, labor intensive operation. $293,000 to the Navy to undertake this function. estimated savings in FY12 budget resources. contract which provides social media planning, content development and graphic design support. estimated FY12 savings of $486,000. in personnel of seventeen (17) civilian billets and estimated FY12 savings of $8,000,000. overhead costs from non-academic functions and will not have a negative impact on students. Benefits &amp; Entitlements, 2) Decision Support, 3) Identity Management, 4) Decision SupportSurvey Program, and 5) Administration Business &amp; CIa Privacy &amp; Security sections. (33) civilian billets and ten (10) contractor positions and estimated FY12 savings of$II,300,000. savings in personnel and estimated FY12 savings of $8,000,000. Office at Scott Air Force Base, and 2) the Customer Service Demand Management Program. savings in personnel and estimated FY12 savings of$I,400,000. of one (1) civilian billet and estimated FY12 savings of$I,074,000. detailee's responsibilities and estimated FY12 savings of$I,600,000. billets and estimated FY12 savings of $480,000. 1. Eliminate DTIC's Information Science and Technology Directorate sub-directorate (DTIC E). personnel of seven (7) civilian billets and estimated FYl2 savings of $900,000. personnel of seven (7) civilian billets and estimated FY12 savings of $555,000. of one (1) civilian billet, six (6) contractor positions, and estimated FY12 savings of$800,000. civilian billets and estimated FY12 savings of $4,500,000. savings in personnel of four (4) contractor positions and estimated FY12 savings of $400,000. estimated savings in personnel of one (1) civilian billet and estimated FY12 savings of$120,000. three (3) civilian billets and estimated FYI2 savings of $324,000. civilian billets and estimated FYI2 savings of$15,000,000. positions, improving alignments and service processes, and eliminating lower-priority missions. estimated FY12 savings of $3,100,000. 3. Consolidate, restructure and flatten the Facilities Services Directorate (FSD) organization. billet and estimated FY12 savings of$100,000. recommendation has no estimated savings in personnel or savings in FY12 budget resources. USEUCOM and 349 at USCENTCOM by the end ofFY13). approximately 350 personnel to the Military Services. military billets and estimated FY12 savings of$5,000. staff; and reprioritizing Liaison Officer assignments. fourteen (14) civilian billets and estimated FY12 savings of $2,000,000. estimated savings in personnel and an estimated FY12 savings of $7,800,000. military and four (4) civilian billets and an estimated FY12 savings of$848,000. projects. This recommendation has an estimated FY12 savings of$8,650,000. travel to conferences. This recommendation has an estimated FY12 savings of $2,400,000. estimated FY12 savings of $225,000. host nation support. Savings in personnel or budget resources cannot be determined at this time. 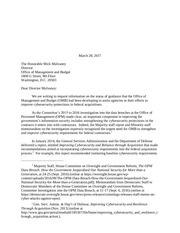 this proposal to the Chairman of the Joint Chiefs of Staff not later than March 1, 2011.
diminished as resources were transferred, or like efforts were established elsewhere within DoD. (79) contractor positions, and an estimated FY12 savings of $7,767,000. (38) civilian billets and forty (40) contractor positions and estimated FY12 savings $8,835,000. billets and estimated FY12 savings of $3,860,000. ensuring this capability remains viable. estimated FY12 savings of $1,000,000. positions. This recommendation has an estimated FY12 savings of $365,000. recommendation has an estimated FY12 savings of$15,210,000. of five (5) civilian billets and estimated FY12 savings of $600,000. approach to end-to-end process improvement. 4. Assign USTRANSCOM as the Executive Agent for all Commercial Variant Aircraft (CVA). utilization of these aircraft. Similar BRAC consolidations realized savings of 20%. opening/theater access, and intra theater sealift. redundancies to save personnel costs. 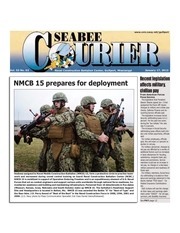 into Ready Reserve Force (RRF) recapitalization. authorities over Service components in other domains. DPO approval authority for decisions impacting the deployment and distribution capability areas. overhead and layers of bureaucracy. Commander, Naval Air Force, U.S.
a. Ensure the number of authorizations is not exceeded. through the CJCS to the USD (P&amp;R) as soon as the extended term becomes known. feasibility of reducing these to 06 and provide feedback no later than March 31, 2011.
potential restructuring or elimination to reduce levels of bureaucracy and to create cost savings. savings from original plan. Reports are due no later than March 31, 2011. Anny provide their plan for Recruiting and Accessions no later than March 31, 2011.
reduce several GOs into the implementation phase of the G/FO Study Group. (DISES), and 53 Defense Intelligence Senior Level (DISL). distribution letters. This will drive reprioritization decisions. pool can be used to fill emerging requirements, under established approval authorities. action, to ensure a Department-wide approach. months or upon appointment expiration, whichever comes first. any given time, and upon implementation of Recommendation #6, this number will decrease. Conversely, conversion of Senior Mentors to HQE appointments will add to the number. and control potential growth of CSE positions. cost benefit analysis of, and establishing sunset provisions for, report requirements. age reporting processes and replace with transparent databases and web sites. and incorporates databases prior to 2000.
funding by 25% below FYI 0 levels. application and analysis across systems. consultations and legislative proposals to streamline and/or sunset some of the mandated nondiscretionary boards and build awareness of internal restructuring. and track Boards and Commissions funding. discretionary committees consistent with follow-on guidance. and best practices approach, and establish new biennial benefit-to-burden evaluation system. additional contractors. Additional savings will be reflected in the National Intelligence Program. JIOC to provide unique expertise and tradecraft, and facilitate reach-back support from DIA. DIA. Analysis shows that this can be accomplished without an increase in DIA manning. reflected in the National Intelligence Program. implications for this initiative; gains will be in terms of effectiveness. organizations have formed, many in an ad hoc fashion, to provide support to combat operations. organizations will no longer have a mission upon the cessation of combat operations. USD(C), national intelligence agencies, Inspector General, and SAP Coordination Office. performed by the Office of General Counsel under the ASD(LA). to the producing organization's mission. 2011, and reduce the centralized IT staff by 20% by September 30,2012, and 40% by 2015.
solutions for component mission applications. coordination with OSD PSAs, will develop mutually agreed upon customer service metrics. on the use of detailed personnel by 1 June 2011. This file has been shared by a user of PDF Archive. Document ID: 00029677.